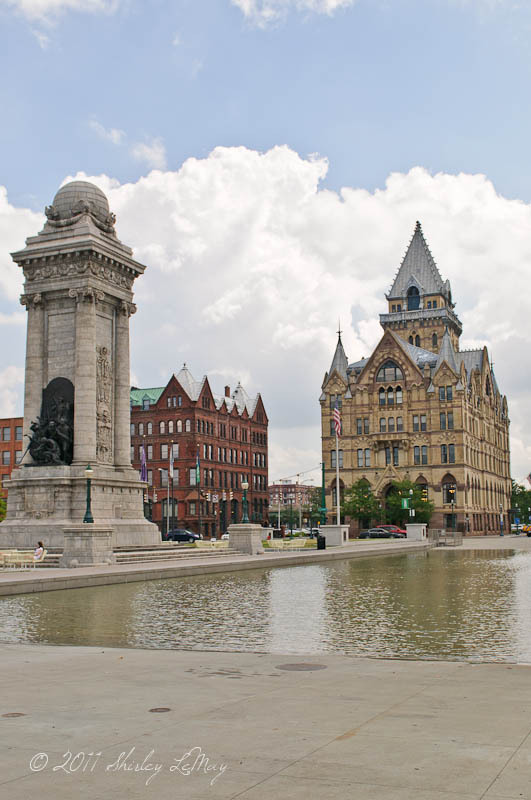 I learned yesterday that the Erie Canal once flowed through downtown Syracuse. The Erie Canal connects Lake Erie in Buffalo to the Hudson River in Albany and was constructed between 1817 and 1825. Here is a postcard rendition of the Erie Canal in Syracuse, around 1915. The shallow water remains as a reminder of the Canal and in the winter serves as an outdoor skating rink. 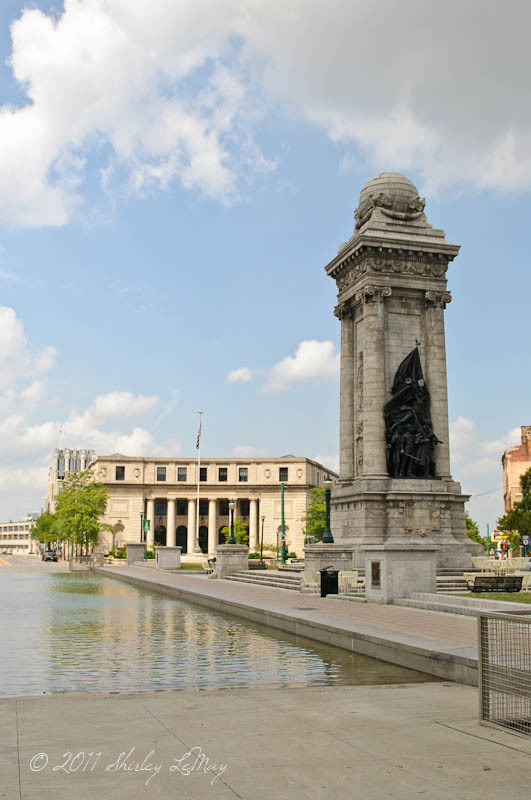 In the front left of the photo is the Soldiers' and Sailors' Monument. The Syracuse Savings Bank is to the right. 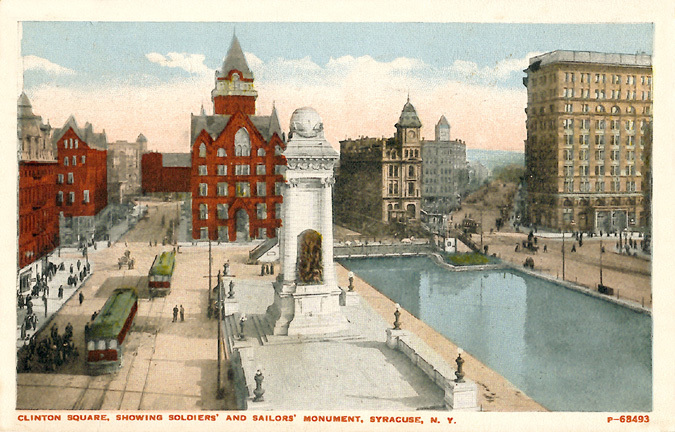 Looking towards the west, another view of the Soldiers' and Sailors' Monument, with the Clinton Exchange in the background. To the South of the Syracuse Exchange is the Gridley Building. 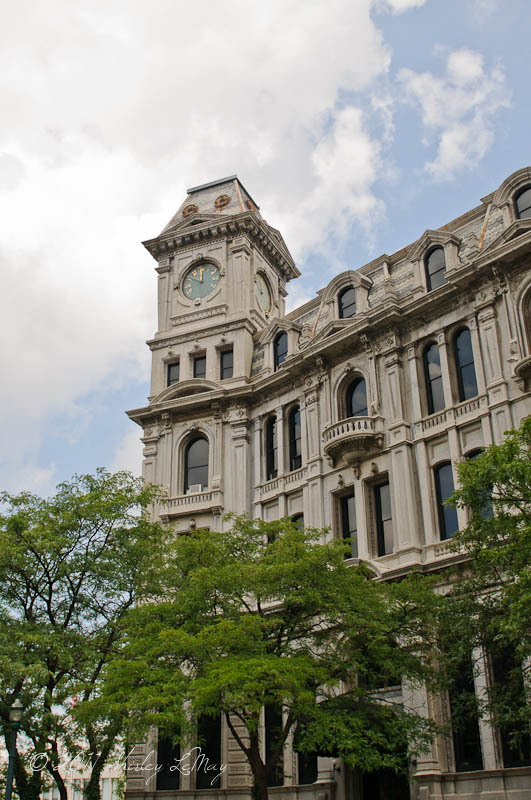 It was built in 1867, and previously known as Onondaga County Savings Bank Building.